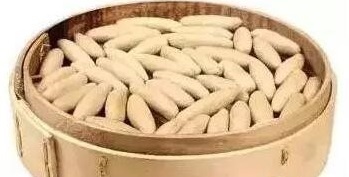 Naked oat has more than 2100 year history in China. The Chinese oat growing region reached 1.13 million ha in the 1960s, but declined from 1980s, dropping to about 0.3 million ha in 2003, the lowest in history. After that, the area increased gradually. There were about 0.7 million ha of oats in 2010, with a total yield of about 850,000 mt. The reason for the recent increase is the growing popularity of this cereal, at least partly triggered by a new successful restaurant formula. Domestic production cannot keep up with the demand as is shown by the following table of oats imports in recent years. Westerners tend to associate oat with breakfast. Oat meal cooked in water or milk is a popular alternative for bread. Oat has been eaten as a staple in a large area in Northwest China (in particular: Shanxi, Gansu, Inner Mongolia). 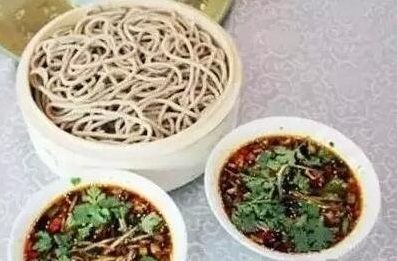 However, while the Western oat meal has reached Chinese breakfast tables as well in recent years, the traditional shapes in which it consumed is noodles. 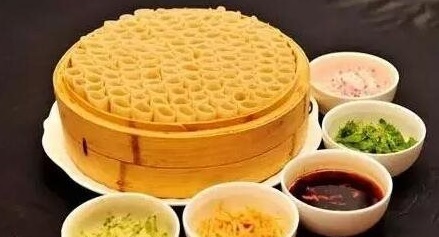 In the first lunar month in the Chinese calendar, people in Inner Mongolia, especially in Hohhot, eat foods made with hulless oat flour in the form of noodles, rolls or pancakes involving various flavours. Oat is the staple food there. It is a low-yield, cold-resisting and salt-alkali-resisting crop with a short mature period, contain high protein, fat and many kinds of trace elements, such as iron, calcium and phosphorus. Oat powder can be made into noodles for mutton or vegetable soup seasoned with pepper and garlic. Regular oat noodles are usually slightly thicker than the more common wheat noodles, due to the looser texture. The most typical presentation form of youmian in China is the cup noodle; short round hollow shapes that can be dipped in a savoury sauce, adding condiments of your choice. It is this type of oat noodles around which the above mentioned restaurant chain, Xibei Youmian, has been conceived. Xibei, though deliberately written with different characters, means ‘Northeast’, referring to the home region of Chinese oat. You have learned the word youmian in the opening paragraph. Yet another traditional presentation form is the ‘oat fish’. This name is based on the shape, quenelles that, with a little phantasy, look like a fish. The picture shows fishes made from a combination of oat and yam. Some innovative chefs are trying out new recipes like oat dumplings and oat pudding. 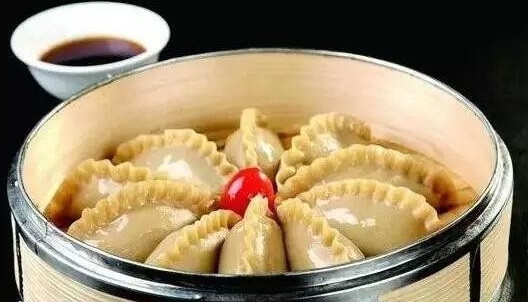 Others make larger versions of the hollow oat noodles that can then be stuffed with different kinds of fillings. 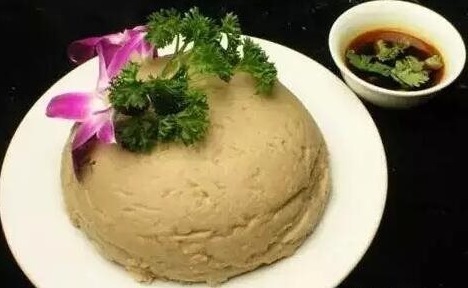 Xibei Youmian serves oat in various shapes and other typical dishes of China’s Northwest. You can find them all over Beijing and they are crowded with returning patrons every lunch and dinner. Try it out yourself and I am sure you will join me in shouting ‘I love You!’. Eurasia Consult Food knows the Chinese food industry since 1985. Follow us on Twitter. Eurasia Consult Consulting can help you embed your business in Chinese society. Peter Peverelli is active in and with China since 1975. I have a weak spot for enzymes, as this was one of the first type of food ingredients I worked with, when I started to get involved in the Chinese food industry. That was in 1985. China is a huge market for food enzymes, possibly the largest. This is not only due to the size of the country and the therefore equally large food and beverage industry. Fermentation has been an organic part of Chinese food processing since the Chinese starting recording their history in writing. All the ways one can change the flavour, texture and preservability of raw foods with microorganisms all boil down to the enzymes secreted by the bacteria and moulds. While identifying and producing single enzymes did not start in China, most applications found an eager market there. If you can brew more beer from the same volume of raw materials, than by all means do so. No considerations like Reinheitsgebote in China. Apart from the use of enzymes in innovative production processes, enzymes can also be employed to turn offal from the food processing industry into valuable ingredients. And again, because of the mere size of the country, the domestic food and beverage industry produces an awful lot of offal each single day. The road from the first attempts of producing indigenous single enzymes in China took off slowly in the early 1980s, but within a decade, the first exports of Chinese made industrial enzymes took place. Today, multinationals in this industry have to compete with a growing number of local manufacturers, whose R&D efforts generate more and more proprietary enzymes for specific applications. China produced approximately 750,000 mt of enzymes in the first half of 2018; up 8% compared to the same period of 2017. 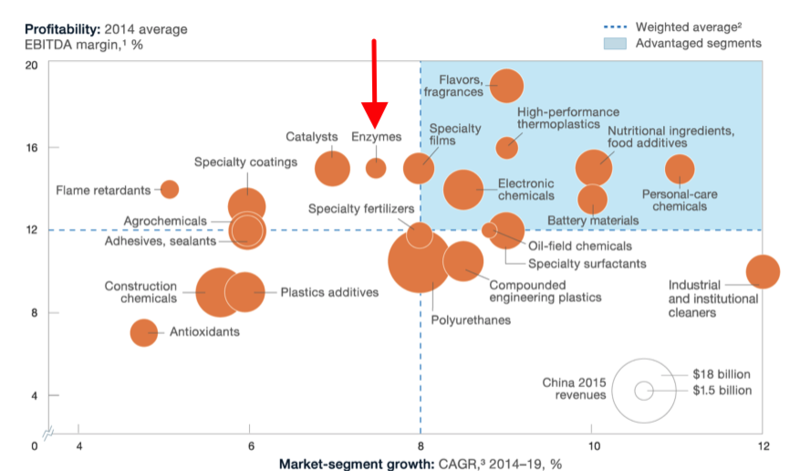 The graph shows the growth of the Chinese enzymes industry according to a recent analysis by Mcinsey. I have mentioned some enzyme applications in earlier posts, like the production of steamed bread (mantou). In this post, I will provide an overall summary the most important application areas of food enzymes in China. Rice is relatively cheap in China, while most of the barley has to be imported. Virtually all Chinese brewers therefore use rice as adjunct, which calls for a thermostable alpha-amylase to properly liquefy the rice, before mixing it with mashed barley. 30% is the typical ratio of rice to malt, but with a really thermostable enzyme, you can increase up to 50%. Multinational suppliers still rule in this market, but the number of local producers of this enzyme is increasing. Unlike the liquefaction of the rice, enzymes, single beta-glucanases or compound products, are not obligatory in the mash tun. Compound enzymes as provided by the main multinationals are used in China, but not by all brewers. The larger the plant the more added value can be generated from using such products. Domestic enzyme producers are slowly gaining ground in this market as well. Adding papain for clarification and glucose oxidase for keeping beer fresh longer are very common in Chinese breweries. Both enzymes are produced in high quantity and quality domestically. As a traditional Chinese product, data for this industry are scarce and unreliable. Enzymes are reportedly widely used in the saccharification of the raw materials, but I assume that it will be mainly domestic generic enzymes, the cheaper the better. Some rice wine producers use glucoamylase to improve the saccharification of the fermentation broth. Thermostable alpha-amylase, cellulase and neutral protease are also used, the latter for improving the flavour. In view of the positive publications, it can be expected that the use of enzymes will increase in this application, possibly to 100%. The reason for the slower adoption is probably that this is an indigenous Chinese application, which has escaped the radar of the multinationals. As this is a traditional Chinese product, this is mainly a segment for domestic enzymes. Part of the wineries use enzymes, but figures indicating penetration and who are the main suppliers are lacking. Based on Chinese practice, we may assume that the smaller wineries will be more willing to use enzymes, in particular for clarification, than the larger ones that are preoccupied with creating an image of being (able to compare with) classic wine makers. All international suppliers are investing in marketing their enzymes for this application, but I have not found indications for serious use in practice. China is good for almost half of the global apple production. The country is therefore also the producer of apple juice concentrate (AJC). All apple juice concentrate (AJC) in China is processed with enzymes. 100% for clarification and probably also close to 100% for maceration. Domestic production of pectinases started later that those for starch processing as used in brewing, but quantity and quality are improving. The Chinese fruit processing industry is huge and therefore forms a lucrative market for pectinases. Apples sometimes contain so much starch, that you need to add a little amylase to avoid problems during clarification and concentration. Some companies use special enzymes to clean the ultrafilter. Enzymes are used as well, but no reliable data are available. The general trend that Chinese processors will prefer to use enzymes, provided they are cost efficient, applies very strongly in this industry. Growing demand for bread and other baked goods is presenting the local baking industries with major challenges. Enzyme design for bakery products plays an important role in overcoming these. However, the ﬂuctuating raw material situation demands individual solutions and prompt responses from the enzyme producers. Most to all bread in China is produced with enzymes. However, this is realised in the form of compound flour/bread improvers. These will typically include fungal alpha-amylase and sometimes xylanase, glucose oxidase and lipase, roughly in that order of frequency. After China prohibited the use of chemical whiteners like benzoyl peroxide, industrial producers of steamed bread are coping with the problem that their product is often not as white as the customers (have learned to) accept. Lipase, or more precisely: lipoxygenase, can reduce the betacarotene in flour and thus produce whiter steamed bread. Fungal amylase and xylanase are said to produce steamed bread with a smoother surface, which gives a shiny impression. An interesting development is taking place in this industry in China. A number of domestic enzyme producers have sprung up specialising in enzymes of the bakery industry, offering products specially formulated for a particular type of biscuit, cake, bread or traditional Chinese baking product, like steamed bread. These products can be best described as formulated enzymes, something in between single enzymes and the traditional flour improvers. This is an interesting development and a potential threat for the traditional suppliers of flour improvers, once the Chinese producers dare to bring those products to the international market. 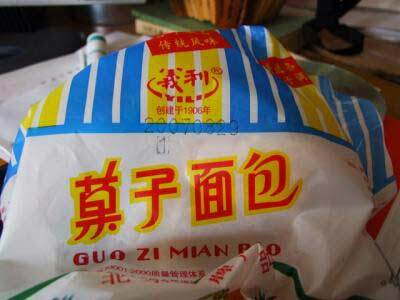 As introduced in my earlier post on flour and flour improvers or those on traditional Chinese foods like dumplings, some Chinese flour companies have developed specially formulated flours for dumplings, fried dough sticks (youtiao) or steamed bread (mantou). However, these companies hardly ever add pure enzymes, but compound flour improvers as well. The workers in this sector are not really trained to handle enzymes, while adding a standard pack of flour improver to a standard bag of flour does not require any education. The top companies like Guchuan (Beijing) will have proper R&D departments that may experiment with single enzymes, but only in small quantities. The most typical enzyme application in this industry is protease (papain) for the production of crispy biscuits. Domestic enzymes do that trick very well. Some companies have developed specially formed enzyme products for a broad range of biscuits, cookies and wafers. Lipase is the typical enzyme for noodles, or better: flour improvers for noodles. Xylanase, glucose oxidase and transglutaminase are occasionally used. Many flour manufacturer produce specialty flours for cake and traditional pastry, but only very few domestic producers of baking enzymes have so far developed special products for this category. 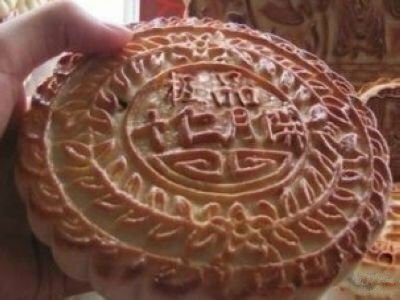 The flagship product among the traditional pastries is still the moon cake. One domestic enzyme producer is supplying a ‘moon cake crust improver’, consisting of compound enzymes and emulsifiers, so again more an improver than an enzyme product. As mentioned in my earlier post about this topic, cheese production in China is still in its infancy and most of it is processed imported cheese. However, there definitely is an emerging market for rennet and as it is a new thing in China, that market can be expected to be interested in microbial rennet rather than the natural product. Some domestic companies offer bromelain for cheese making, but these are generic bromelains and not specially formulated products for that application. 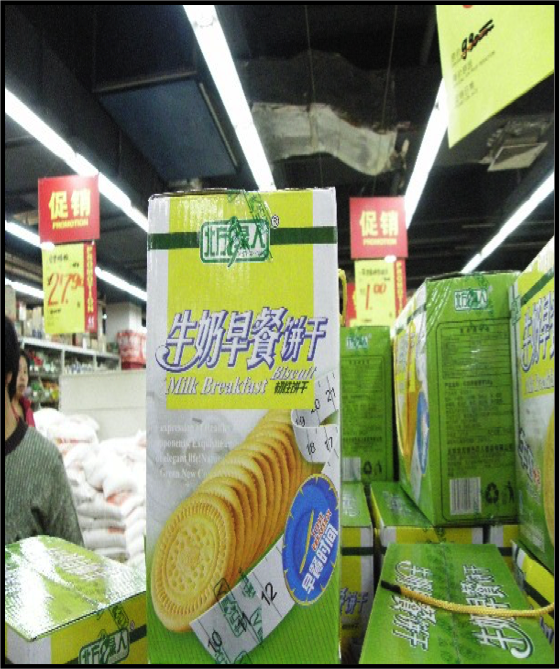 Multinationals are mentioning it in their marketing in China, but it is not likely that they are putting in much effort. Only a few manufactures: Yili (Inner Mongolia), Sanyuan (Beijing), New Hope (Sichuan), Bright (Shanghai) and only limited quantities. 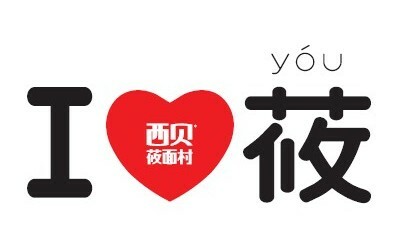 Yili seems to be the largest in this category, marketing its product to the elderly. This is still mainly a market for international suppliers, but domestic lactases have also appeared. During a recent industry meeting, it was reported that the enzymatic extraction of tea seed oil in China had already moved on from trial to regular production. HVP/HAP, nucleotides, soy derivatives (incl. soy sauce), fish sauce, etc. These are again mainly traditional Chinese seasoning products. As most of these typically include a fermentation step, they are highly interesting for introducing enzymes to make the production more efficient or cleaner, turn out better tasting and healthier products. Examples mentioned in earlier posts are: fermented beancurd (furu), fermented flour paste (jiang), and old soup (lao tang). Although these are all bulk applications and therefore interesting for enzyme suppliers, the penetration of enzymes in each product group is still not very well documented. I will add more information to this post, whenever reliable data become available. Hydrolysing meat with protease produces raw material for a wide range of meat-flavoured seasoning products. Considerable R&D is taking place in China to improve processes for teh production of HAP from a broad range of animal-derived raw material. Proteases are regularly used to maximise the extraction of flavour from meat in the production of stock, like the ‘old soup (laotang)‘ introduced in an earlier post. Papain is the typical enzyme for this application, followed by bromelein. For both, China is now the main production region. With such a huge slaughtering industry, China is bound to be the world’s largest producer of meat offall. Treatment of it with proteases can produce a broad range of flavouring products. TG is the fastest growing enzyme in the Chinese food industry. Applied in meat, it can help improving the structure of meat, which i.a. makes it easier to cut thin slices of meat. Same as for meat. Some Chinese researchers are studying the synthesis of meat flavour by enzymatic hydrolysis (trypsin) of squid skin followed by maillard reaction. The skins are offal of squid processing. The traditional production process of fish sauce is very long. It can be speeded up considerably by hydrolyzing (part of the raw materials with proteases). A combination of collagenase and pepsin can decrease the damage to the fish during mechanical removing of scales. The flesh of some fish has a considerable urea content, which causes an unpleasant odour. Soy bean powder contains urease and treating fish meat with urease can remove enough of the urea to neutralise the odour. A number of enzymes can help the preservation of meat, in particular lysozyme, transglutaminase, lipase triglyceride hydrolase. Considerable R&D activity is taking place in China in this respect. The Chinese authorities have approved the use of β-fructofuranosidase to produce FOS from sugar in January 2018. Considerable R&D is also going on in China to develop enzymatic process for TCM. An example mentioned in an earlier post is enzymatic hydrolysis to produce sea cucumber powder. Eurasia Consult’s databases contain tons of information on enzyme applications in the Chinese food industry, including R&D. Just to mention an example: we have currently access to 108 Chinese patents on the use of pectinase.